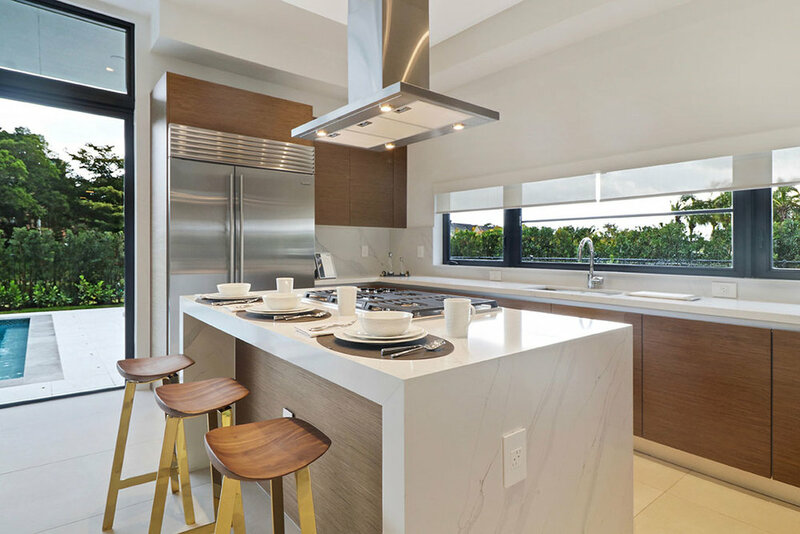 | WESTON, FL - June 28, 2018 | V Starr Interiors designed the standards for the Botaniko Weston, developing a model home and sales center that showcase the various finishes and appliances available at the luxury residential development in Weston, Florida. The design team was inspired to bring the elegance of the timeless, modern architecture indoors by matching the finishes and materials of the interiors with those of the exterior, creating a mixture of textures accented with colorful details and bright, natural lighting. 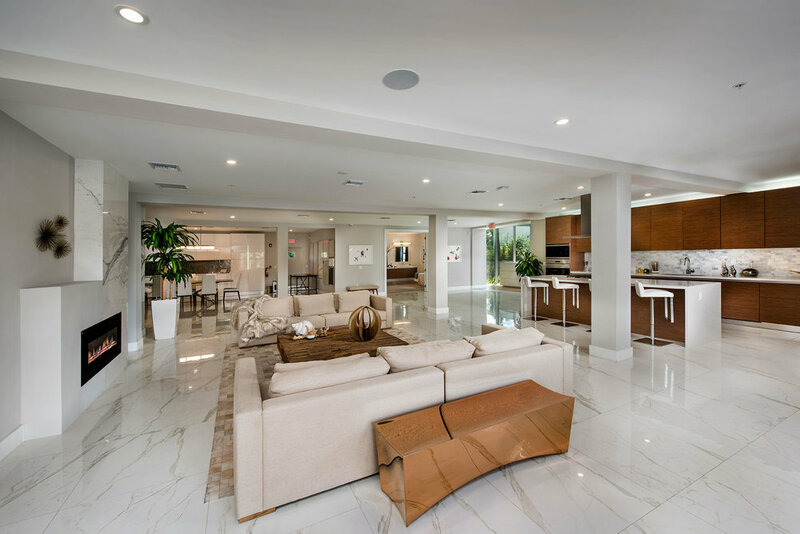 Developed by South Florida-based Terra, the private enclave of 125 architecturally-distinctive estate homes in West Broward features a range of 14 different floor plans for buyers to choose from by architects Roney Mateu and Chad Oppenheim, both AIA Fellows. Botaniko has beautiful surroundings that V Starr Interiors reflected in the use of natural materials like leather and fabric with chic metal complements. An emphasis on striking light fixtures coincides with the open courtyards featured in many of the residences, while the furniture has pops of color to further brighten the spaces. The majority of the furnishings for the model home were supplied by Artefacto, a leading source for contemporary and classic furnishings. A stand out piece is a one-of-a-kind dining table with an antique carved wooden beam that appears to float between the glass top and transparent legs, elevating the airy and light interior design with its distinctive structure. V Starr Interiors' choice of art within the space ties the clean, modern, and nature-inspired elements together with a gentle watercolor appeal. 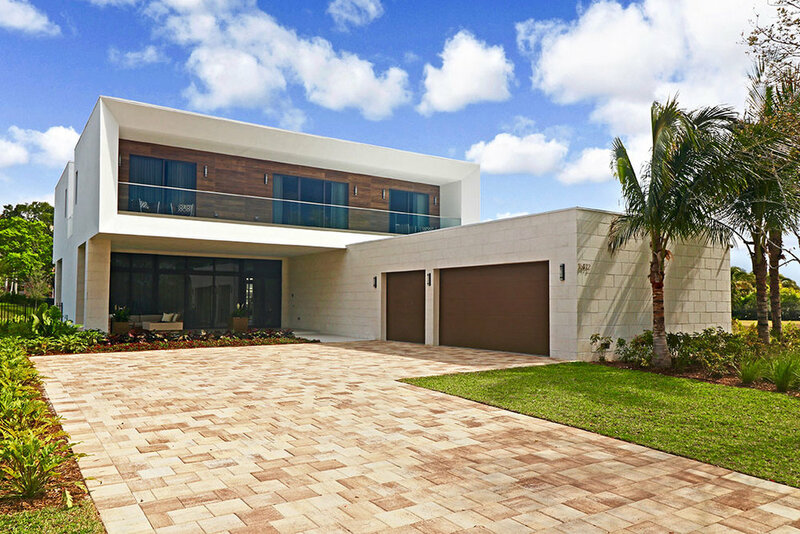 Botaniko is a private enclave of 125 architecturally-distinctive, single-family estate homes situated on 121 acres of private, lush green space, and is the first luxury community to be developed in the exclusive suburban neighborhood of Weston in over a decade. The one- and two-story homes at Botaniko range in size from 4 to 7 bedrooms and 3,500 to 9,700 square feet and are capturing prices from $1.5 million. More than 80 percent of the development’s homes will boast lakefront views, with unique features including expansive private pools, covered patios, and outdoor summer kitchens. Residents will enjoy full-time concierge services, as well as the added measure of security provided by a gate house staffed 24-hours a day with security cameras and state-of-the-art closed-circuit television. For more information call 954.543.5596 or visit the project’s sales gallery at 16479 Botaniko Drive North in Weston. Learn more at botanikoweston.com. Terra is an integrated development firm in South Florida focused on creating sustainable, design-oriented communities that enhance neighborhoods and bring people together. Led by Pedro and David Martin, Terra was founded in 2001 and is involved in all facets of residential and commercial development including realty, mortgage, marketing and construction. The firm’s portfolio includes luxury high-rises, single family homes, townhouses, retail shopping centers, office space and multifamily apartments, both in urban and suburban areas across South Florida. Terra’s current developments are valued at $4 billion, with more than 10 million square feet of residential and commercial development built to date. Learn more at www.terragroup.com.